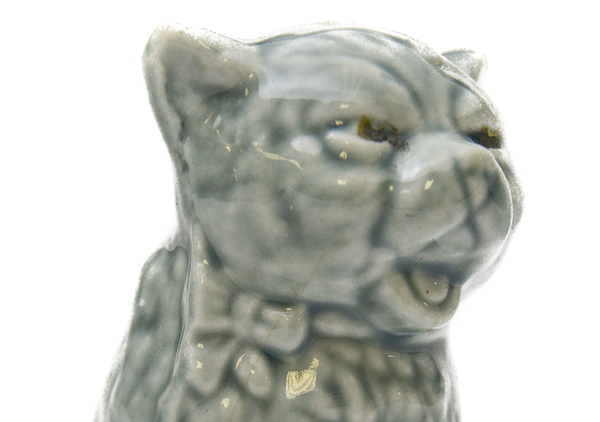 Cat figurine that says "Votes for Women" on the bottom. Blue (grayish) and white glazed china or porcelain. 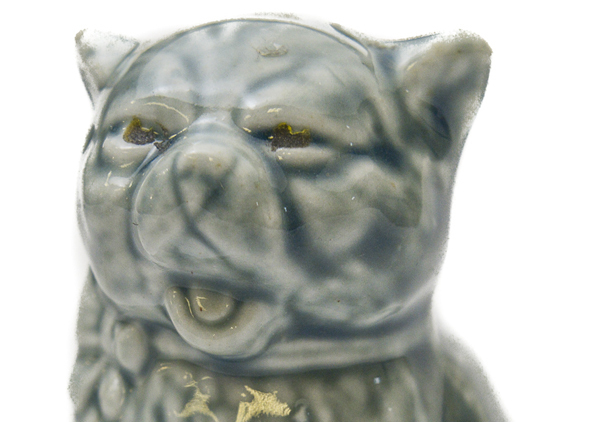 Eyes of cat have been painted a greenish gold on top of glaze. Cat is wearing a ribbon tied in a bow around neck. 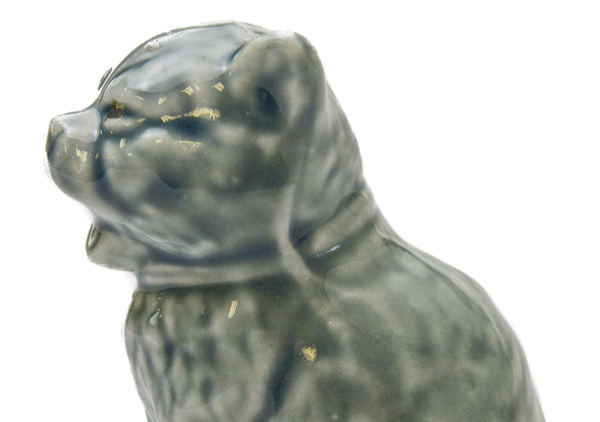 Cat has mouth open and is in a seated position.